Shortly after that, Wilson drove up to Brown and Johnson as they were walking in the middle of Canfield Drive and ordered them to move off the street. Wilson continued driving past the two men but then backed up and stopped close to them. A struggle took place between Brown and Wilson after Brown reached through the window of the police SUV. Wilson’s gun was fired twice during the struggle from inside the vehicle, with one bullet hitting Brown’s right hand. Brown and Johnson fled and Johnson hid behind a car. Wilson then got out of his vehicle and began to pursue Brown. At some point, Wilson fired his gun again, while facing Brown, and hit him with at least six shots. Brown was unarmed and died on the street. Less than 90 seconds passed from the time Wilson encountered Brown to the time of Brown’s death. On November 24, 2014, a federal grand jury chose not to indict Wilson. The grand jury’s task was to determine whether there was probable cause to believe that Wilson should be charged with a crime, and if so, which one. The prosecutor, Robert P. McCulloch, has been widely accused of being soft on Wilson, in part because McCulloch’s father was a police officer who had been killed in a shootout with a black suspect. Further, McCulloch released forensic reports, photographs of evidence, and transcripts of the proceedings, materials that are usually kept secret. The decision not to indict Wilson set off a wave of anger among those who had gathered outside the Ferguson Police Department. As the night wore on, the situation grew more intense, with buildings being set on fire and looting being reported in several businesses. These demonstrations raged on for weeks, eventually leading to Governor Jay Nixon deploying the Missouri National Guard to quell the unrest. In April of 2015, the family of Brown filed a federal civil lawsuit against the city of Ferguson under Missouri’s wrongful death statute. The suit requested punitive and compensatory damages in excess of $75,000, in addition to attorney’s fees. In addition to the city, the suit also named Wilson, and former Chief Thomas Jackson. In July of 2015, a federal judge narrowed the suit, dismissing two “redundant” counts against Jackson and Wilson. Later that July, the family submitted an amended complaintin light of the dismissals. As of February 2017, the case is still ongoing. In March of 2015, the U.S. Department of Justice issued two official reports on Ferguson. One was a detailed analysis of the shooting that weighed physical, ballistic, forensic, and crime-scene evidence, and statements from purported eyewitnesses. The report cleared Wilson of willfully violating Brown’s civil rights, and concluded that his use of force was defensible. It also contradicted many details that the media had reported about the incident, including that Brown had raised his hands in surrender and had been shot in the back. The evidence supported Wilson’s contention that Brown had been advancing toward him. The Justice Department also released a broader assessment of the police and courts in Ferguson, concluding that the two was characterized by deep-seated racism. Local authorities targeted black residents, arresting them disproportionately and fining them excessively. The report described the city as one that used its police and courts as money making ventures, a place where officers stopped and handcuffed people without probable cause, hurled racial slurs, used stun guns without provocation, and treated anyone as suspicious merely for questioning police tactics. The two reports seemed difficult to reconcile – Wilson had violated no protocol in his deadly interaction with Brown, yet he was part of a corrupt and racist society. The federal government sued the city of Ferguson in February of 2016, alleging a pattern and practice of unconstitutional police conduct. In March of 2016, the City Council unanimously agreed to accept a Justice Department overhaul of its police force and municipal courts. The consent decree requires the city to hire additional senior staff dedicated to the implementation of the negotiated deal and in areas such as crisis intervention and community-police relations. Other costs to the city included the creation of an electronic complaint tracking system, an early intervention system, and training throughout various levels of the police department. Brown v. City of Ferguson, Missouri, Docket No. 4:15-cv-00831 (E.D. Mo. May 26, 2015). United States v. City of Ferguson, Missouri, Docket No. 4:16-cv-00180 (E.D. Mo. Feb. 10, 2016). On May 9, 2016, the city of Ferguson swore in Delrish Moss as its first African American police chief. Moss replaced Tom Jackson, who resigned after the Justice Department reports cited racial bias in Ferguson’s criminal justice system. A large part of Moss’ role has been reaching out to the community and recruiting more minorities into the police department. To this day, Ferguson continues to be plagued by unrest. On March 14, 2017, St. Louis County Prosecutor released unedited footage showing Michael Brown trading a Ferguson Market store clerk marijuana for Cigarillos about 11 hours before we was killed. About 100 people gathered to protest that evening. Many protestors were arrested for their acts against the police, including punching an officer in the face, and stuffing a napkin in the gas tank opening of a St. Louis County police car and trying to ignite it with a cigarette lighter. BBC, Ferguson Protests: What we Know About Michael Brown’s Last Minutes (Nov. 25, 2014), http://www.bbc.com/news/world-us-canada-28841715. Christine Byers and Joel Currier Sr., Ferguson Video About Death of Michael Brown Rekindles Unrest, Arrests, St. Louis Post-Dispatch (Mar. 14, 2017), http://www.stltoday.com/news/local/crime-and-courts/ferguson-video-about-death-of-michael-brown-rekindles-unrest-arrests/article_d484096d-dbe1-5818-b2c7-4a7c21fad2f3.html. Jonathan Capehart, “Hands Up, Don’t Shoot” was Built on a Lie, The Washington Post (Mar. 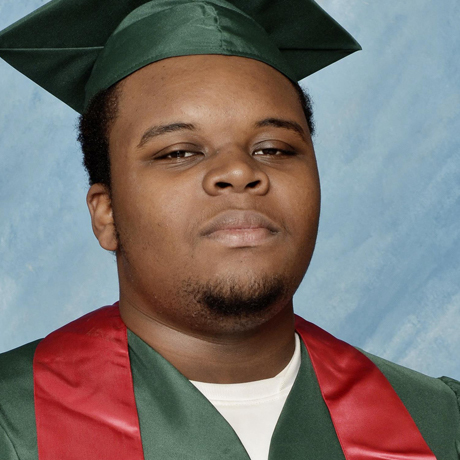 16, 2015), https://www.washingtonpost.com/blogs/post-partisan/wp/2015/03/16/lesson-learned-from-the-shooting-of-michael-brown/?utm_term=.0884850f78ec. Elizabeth Chuck, Prosecutor in Michael Brown Case Has Deep Family Ties to Police, NBC News (Aug. 20, 2014), http://www.nbcnews.com/storyline/michael-brown-shooting/prosecutor-michael-brown-case-has-deep-family-ties-police-n183911. Monica Davey & Julie Bosman, Protests Flare After Ferguson Police Officer is Not Indicted, The New York Times (Nov. 24, 2014), https://www.nytimes.com/2014/11/25/us/ferguson-darren-wilson-shooting-michael-brown-grand-jury.html. Jake Halpern, The Cop, The New Yorker (Aug. 10, 2015), http://www.newyorker.com/magazine/2015/08/10/the-cop. Faith Karimi and Joshua Berlinger, Ferguson Swears in New Police Chief, CNN (May 10, 2016), http://www.cnn.com/2016/05/09/us/ferguson-police-chief-delrish-moss/. Meghan Keneally, Ferguson Grand Jury Does Not Indict Officer Darren Wilson in Death of Michael Brown, ABC News (Nov. 24, 2014), http://abcnews.go.com/US/ferguson-grand-jury-indict-officer-darren-wilson-death/story?id=27146400. Elliott C. McLaughlin & Ed Payne, Michael Brown Family Sues Ferguson, Police Officers, CNN (Apr, 23, 2015), http://www.cnn.com/2015/04/23/us/ferguson-missouri-michael-brown-parents-civil-lawsuit/. The New York Times, What Happened in Ferguson? (Aug. 10, 2015), https://www.nytimes.com/interactive/2014/08/13/us/ferguson-missouri-town-under-siege-after-police-shooting.html?_r=0. Robert Patrick, Darren Wilson’s Radio Calls Show Fatal Encounter was Brief, St. Louis Post-Dispatch (Nov. 14, 2014), http://www.stltoday.com/news/multimedia/special/darren-wilson-s-radio-calls-show-fatal-encounter-was-brief/html_79c17aed-0dbe-514d-ba32-bad908056790.html. Robert Patrick, St. Louis Federal Judge Dismisses Several Counts of Brown Family Lawsuit, St. Louis Post Dispatch (July 14, 2015), http://www.stltoday.com/news/local/crime-and-courts/st-louis-federal-judge-dismisses-several-counts-of-brown-family/article_92b8118d-584e-5ce2-9ebb-41481fec8468.html. Ray Sanchez, Ferguson City Council Accepts Justice Department Plan, CNN (March 15, 2016), http://www.cnn.com/2016/03/15/us/ferguson-justice-department-agreement-vote/index.html. Jeff Small, Ferguson City Council Members Vote to Conditionally Approve an Agreement with the Department of Justice, https://www.clearinghouse.net/chDocs/public/PN-MO-0002-0011.pdf. The U.S. Department of Justice, Department of Justice Report Regarding the Criminal Investigation into the Shooting Death of Michael Brown by Ferguson, Missouri Police Officer Darren Wilson (Mar. 4, 2015), https://www.justice.gov/sites/default/files/opa/press-releases/attachments/2015/03/04/doj_report_on_shooting_of_michael_brown_1.pdf. The U.S. Department of Justice, Investigation of the Ferguson Police Department (Mar. 4, 2015), https://www.justice.gov/sites/default/files/opa/press-releases/attachments/2015/03/04/ferguson_police_department_report.pdf.